How Far is Creative Shree Nilaya? 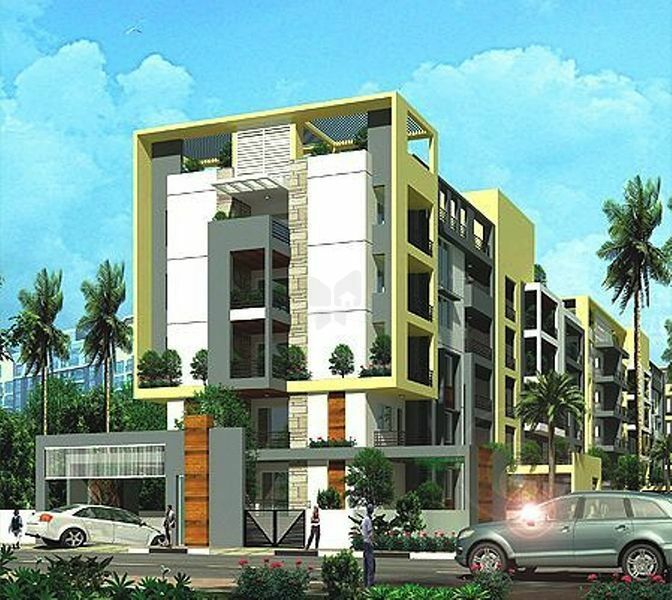 Creative Environs Builders & Developers has launched yet another Project in Bangalore. Creative Shree Nilaya is located in Opp Power Grid, 24th Main, Haralu kunte vilage, Sector 2, HSR Layout, Bangalore, Karnataka, INDIA. R.C.C framed Structure masonry walls of concrete cement blocks Of 6"&4"
2"x2" Vitrified tiles for entire apartment, Granite/vitrified tiles for lobby. Balconies with anti skid / rustic tiles. Granite counter with glazed tiles dado Up to 2 feet height .Stainless steel single bowl drain board. Anti Skid tiles for flooring, glazed tiles for walls Up to 7 feet height. Concealed Plumbing lines with quality C.P Fittings of Jaguar, Crabtree or equivalent. Sanitary Ware of Hindware or Parryware. Plastic emulsion for interior walls with Putty finish .Apex and stucco or equivalent for exterior walls. Main door teak wood frame with skin Paneled shutter. Other doors - Sal wood frame with termite resistant flush shutters. TV points in Living and master bed room. Geyser Points in all bath rooms.